The cash-strapped airline is likely to be steered by current CEO Vinay Dube. Bengaluru: Jet Airways chairman Naresh Goyal and wife Anita Goyal stepped down from the airline board, alongwith their two nominees and one from the Ethidad Airways PJSC on Monday. Naresh Goyal also relinquished his rights as the chairman. This development comes in accordance to the Memorandum of Understanding (MoU) between Jet, lenders and Etihad, Naresh Goyal, his wife Anita Goyal, Executive Director Gaurang Shetty and Independent Director Nasim Zaidi- which read that will have to quit the board in order for the airline to be eligible for fresh funding. Earlier there are reports of Naresh Goyal, founder-promoter of Jet, being in talks with Qatar Airways for a possible investment with Goyal as the minority investor, a pre-condition put forward by Etihad. Jet Airways has also reduced frequencies on seven other overseas routes, mostly from Delhi and Mumbai, as per sources. An airline source informed that the airline has discontinued services from Delhi to Abu Dhabi, Dammam, Dhaka, Hong Kong and Riyadh up to April 30. 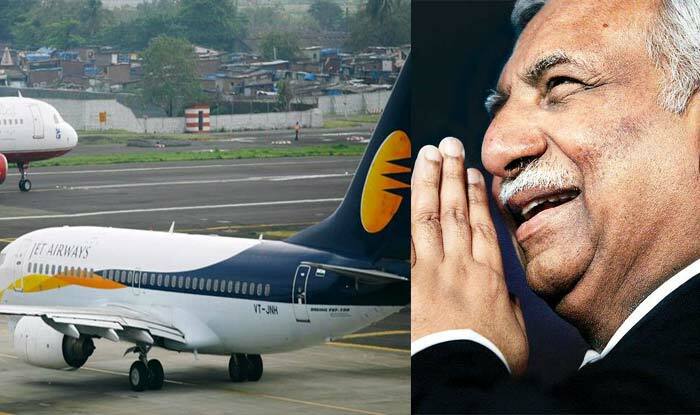 Last year, Jet Airways (India) Ltd chairman Naresh Goyal expressed how “guilty and embarrassed” he had felt since a lot of shareholders had lost their money, amid the airline’s shares plummeting on financial woes. Jet Airways indeed had survived a near-death experience. The burden was shared by Abu Dhabi’s Etihad Airways in 2013 when it injected $600 million of capital for a 24 per cent stake in Jet Airways. The pilots’ union of Jet Airways has threatened to stop flying from April 1 if clarity on the resolution plan is not brought to their notice by March 31. According to the Directorate General of Civil Aviation (DGCA), only 41 Jet Airways aircraft are available for operation and there may be “further attrition” of flights “in the coming weeks”.